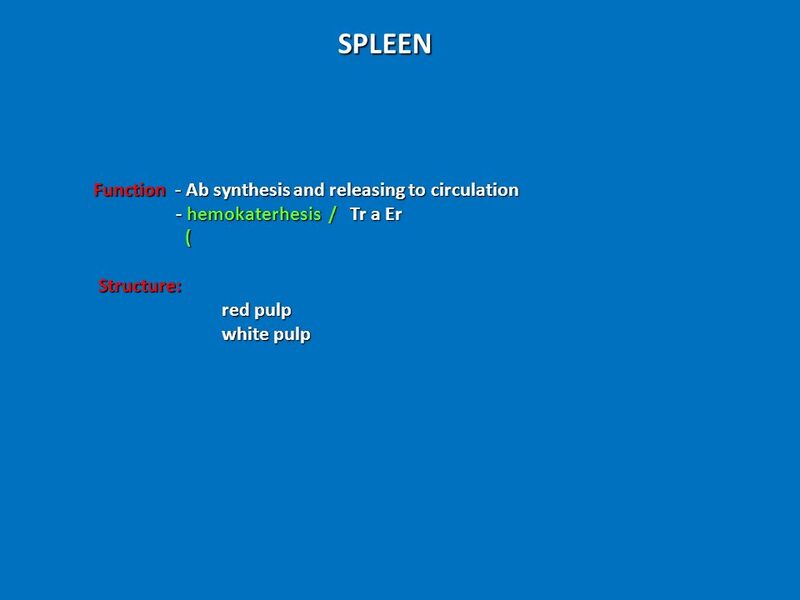 9 Spleen Red pulp White pulp - plasma cells, Ma, Er, Tr, PMNL and Ly. (PeriArteriolar Lymphoid Sheath - PALS). 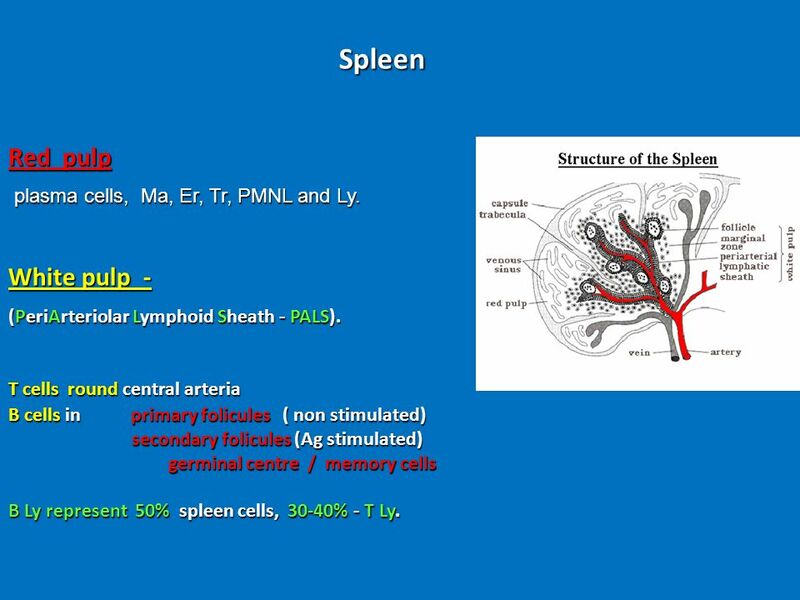 T cells round central arteria B cells in primary folicules ( non stimulated) secondary folicules (Ag stimulated) germinal centre / memory cells B Ly represent 50% spleen cells, % - T Ly. 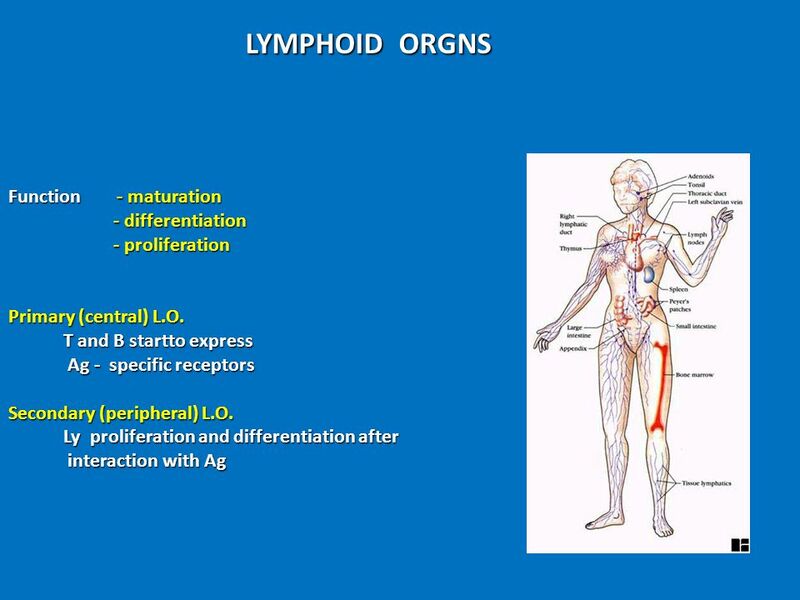 Download ppt "LYMPHOID ORGNS Function - maturation - differentiation - proliferation"
Immune system. 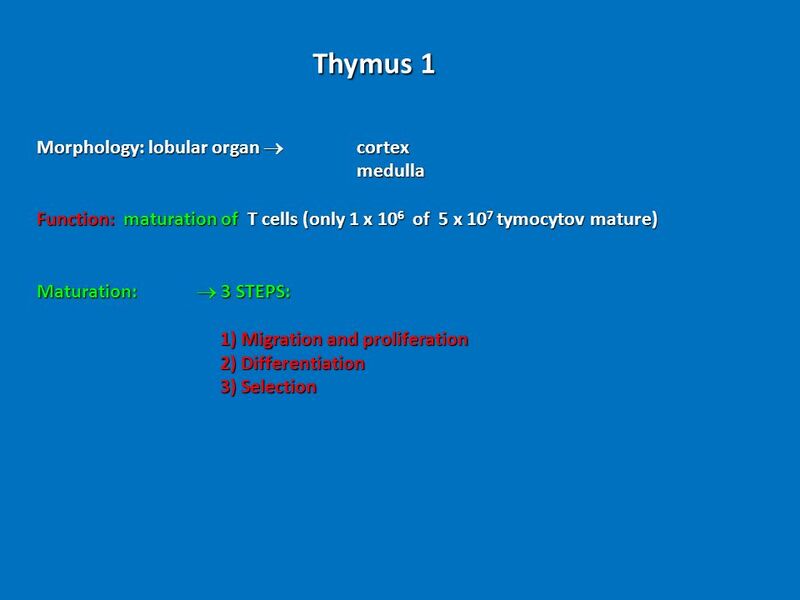 General outline Lymphatic organs: thymus, lymph node, Lymphoid tissue Lymphocyte T ： Th 、 Ts 、 Tc B K NK Macrophage Cells spleen, tonsil. بسم الله الرحمن الرحيم. Cells of the immune system -monocytes/macrophages -granulocytes/polymorphonuclear cells - (PMN) -mast cells -interdigitating. 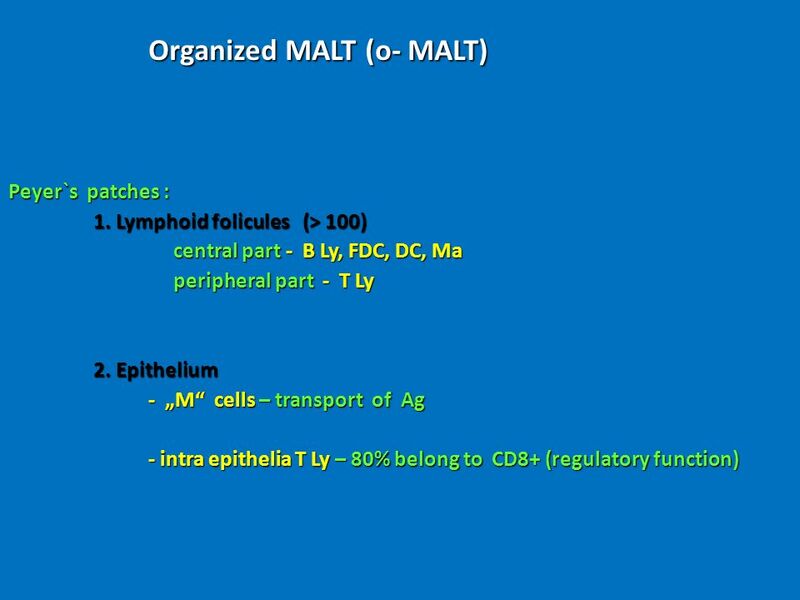 Lymphoid System Diffuse Lymphoid Tissue –GALT –BALT Lymph node Spleen. 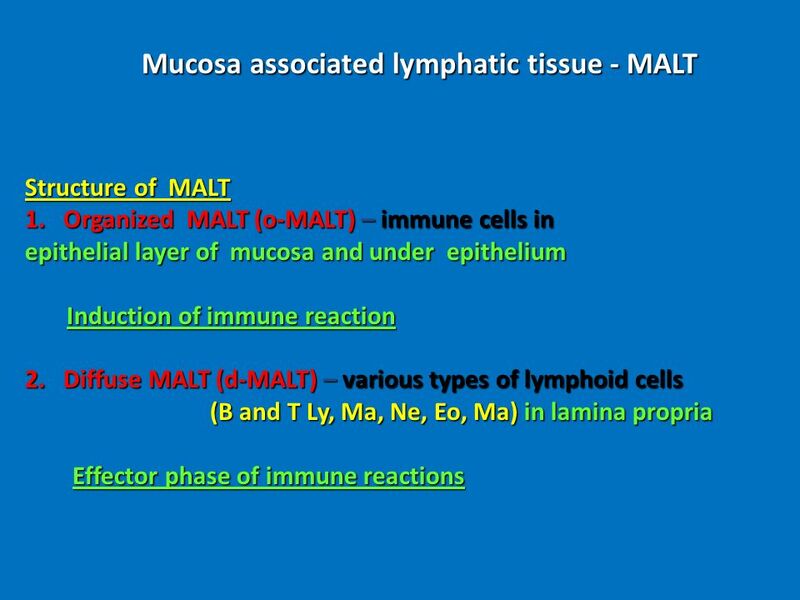 Secondary (2°) Lymph Organs Ranges from: 1.Diffuse assemblages of lymphocytes and MØ (in lung and intestinal wall) referred to as MALT and GALT to 2. Lymphoid. Immune System. 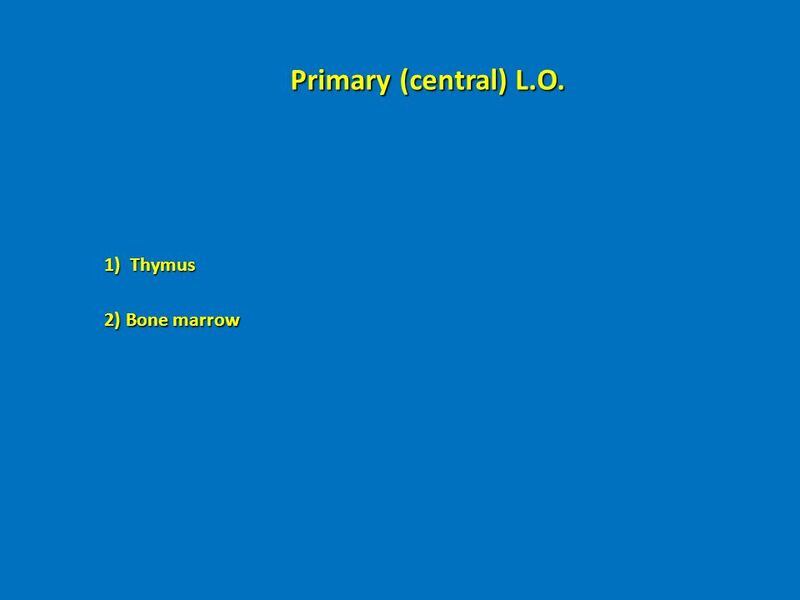 1 Constituents: Lymphocytes in blood vessels, lymphatic vessels and somewhere else, lymphatic vessels and somewhere else, lymphatic tissues. 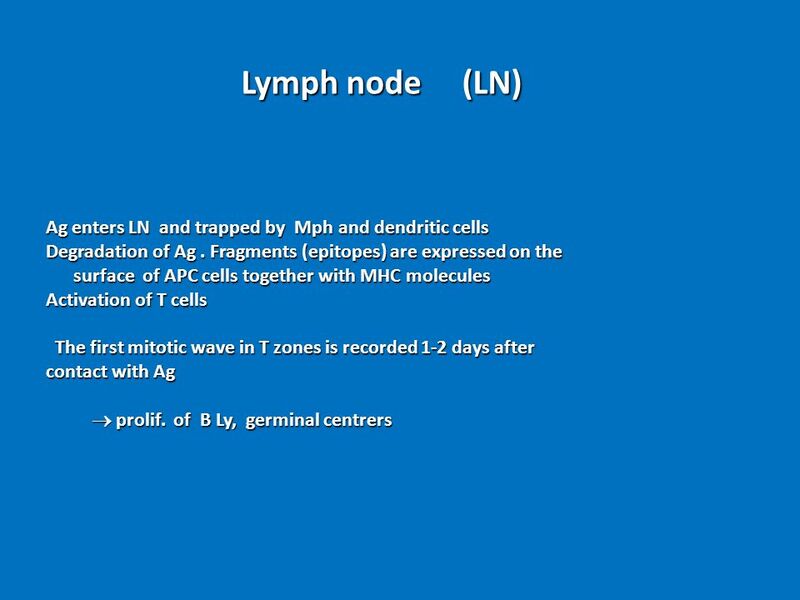 5th SEMINAR THE ADAPTIVE IMMUNE RESPONSE: LYMPHOID ORGANS GENERATION OF MATURE NAIVE LYMPHOCYTES LYMPHOCYTE RECIRCULATION. 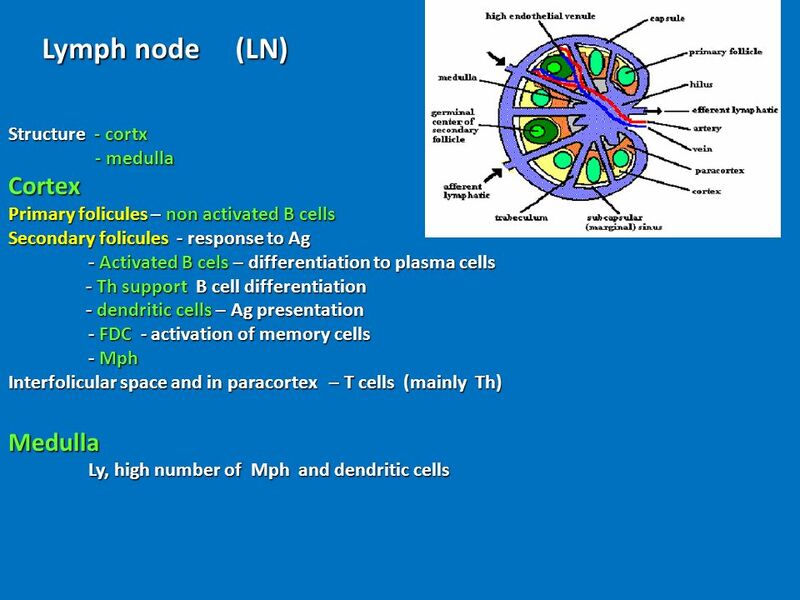 Introduction to Immunology BIOS 486A/586A Kenneth J. Goodrum,Ph.D. Department of Biomedical Sciences Ohio University 2005. 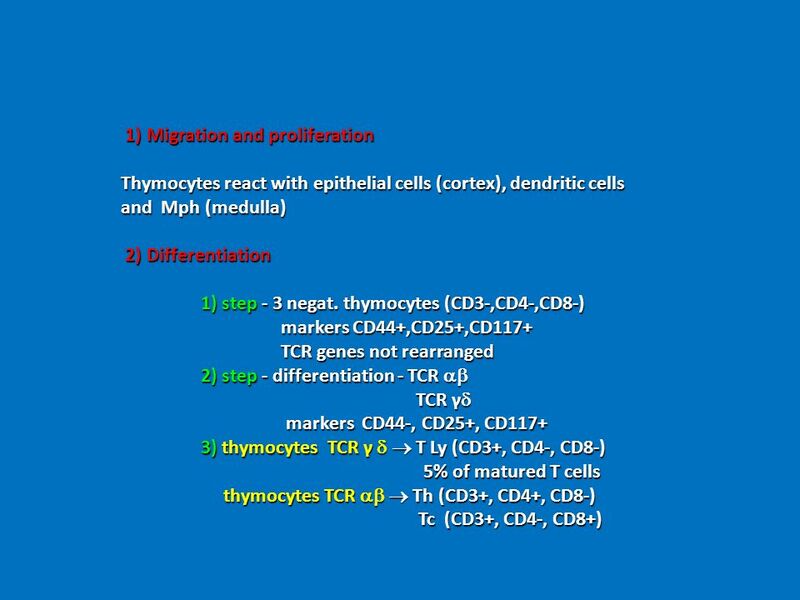 Immunology 5 Cells and organs of specific immunity Development of lymphocytes. I MMUNE SYSTEM ORGANS & CELLS. I – S TEM OR M OTHER CELLS : It’s the place of the origin (Generation of lymphocytes) *found in the fetal liver during. Transcomplementation can result from the combination in trans of  and  chains encoded by MHC class II genes on different chromosomes. Inter-isotypic. 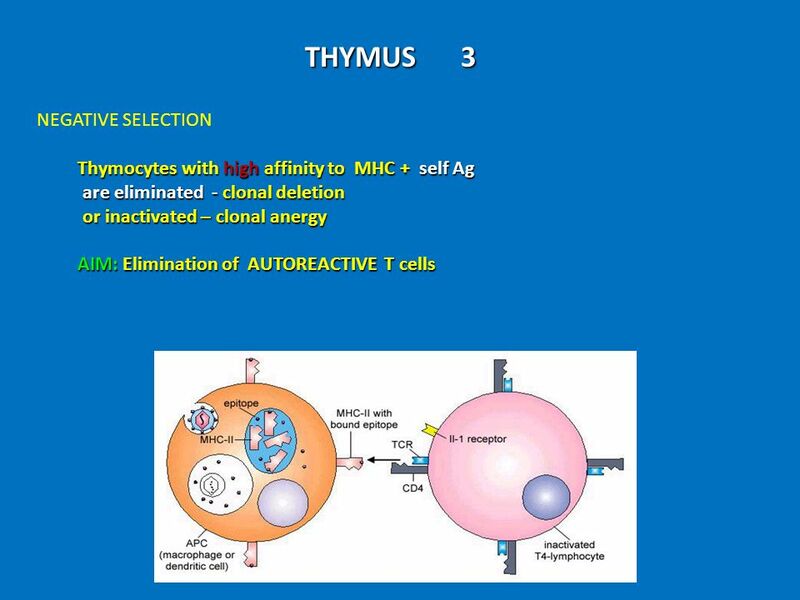 Lecture 8 The Development of Lymphocytes. Core content. 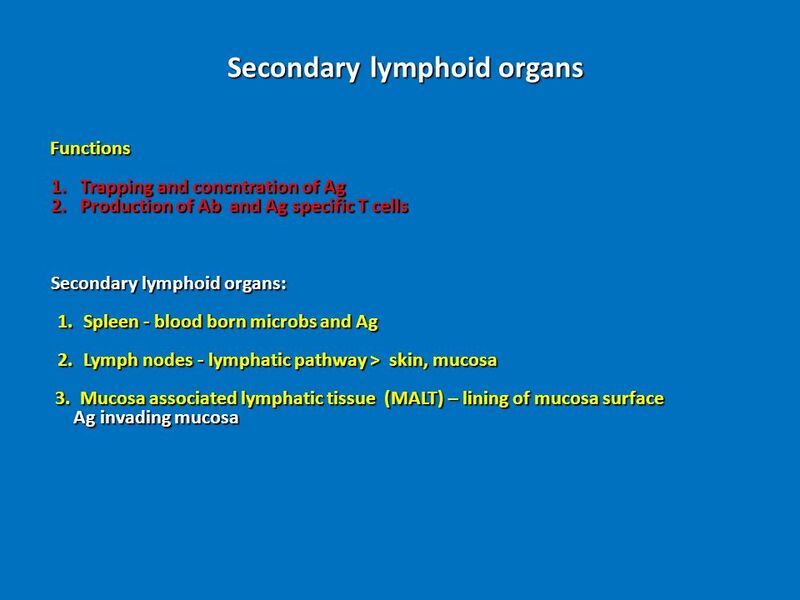 Lymphocytes and Lymphoid Tissues. Basic Pathway Figure 2-3. Anne and Tresha Thursday, December 2, Central = Primary lymphoid tissue Site of maturation of the cells of the immune system Thymus –encapsulated. Principles of Immunology Organs of the Immune System 1/31/06 “There are two ways to slide easily through life. Believe everything or doubt everything. 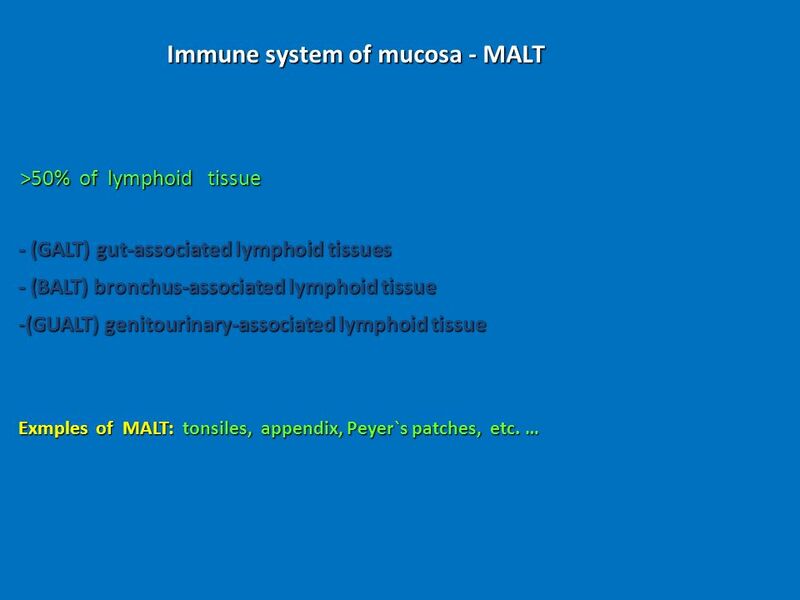 16-1 Topics Immunity Lymphoid system Immunity Matures throughout life Has memory – enhanced response to pathogens Vaccination – deliberate exposureto.